Renowned fashion designer with a flair for the simplistic and unique style. The coming of the Autumn Equinox has played a significant role throughout human history. Not only does it signify the beginning of fall, but it also marks the beginning (or end) of the harvest. For centuries—even millennia—peoples from all over the world have ritualized the harvest season, turning it into a time of celebration for themes like re-birth, joy, abundance, good health, and letting go. The whole world acknowledges the significance of the harvest, so we figured we should, too. You all know this one. 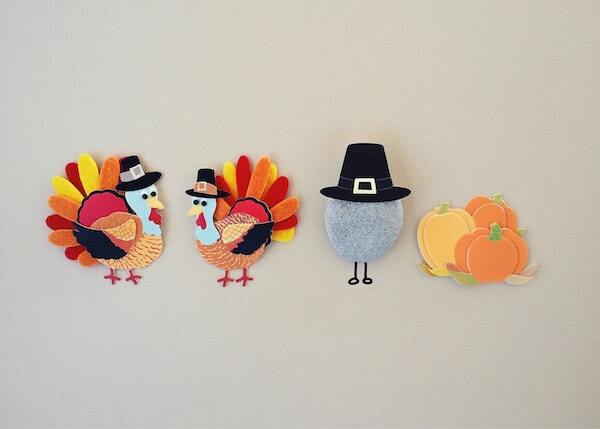 Thanksgiving is a holiday celebrated in the U.S. Canada, some Caribbean islands and Liberia. In its modern iteration, Thanksgiving is about being thankful for the things and people in your life—and eating an abundance of turkey, in the process. Traditionally, however, Thanksgiving was a holiday dedicated specifically to giving thanks for the successful harvest of the previous year, and its roots are very religious and cultural, datingallthe way back to the Protestant Reformation. While welargely see Thanksgiving as a day to lounge around, relax, watch football and eat waytoo much turkey, the Puritans originally saw it as a means to an end for what they considered “frivolous” Church holidays like Christmas and Easter. Luckily, over time, things changed, and Thanksgiving has become the glorious holiday we all know and love—and for that, we’re thankful. Diwali is the Hindu festival of lights. The holiday is a fusion of harvest festivals that took place all throughout ancient India, and today, is observed by Hindus, Sikhs, Jains and Newar Buddhists. The festival itself coincides specifically with the end of the summer harvest and the new moon (known as the amāsvasya), as well as the darkest night of he Hindu lunisolar calendar. 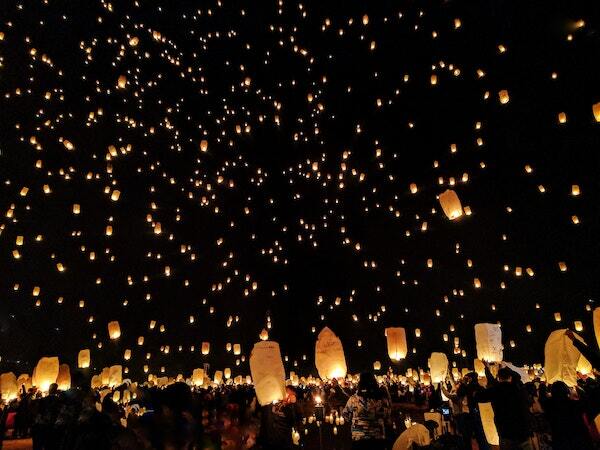 It takes place every year in either October or November, depending on the cycle of the moon. This year (2018), it takes place on Wednesday, November 7. Generally, Diwali is a celebration to honor Lakshmi, the goddess of wealth. People celebrate the day, which literally translates to “Rows of lighted lamps,” by placing candles or special oil lamps called diyas in their homes, shops, and other public spaces in order to help guide Lakshmi to them. The festival is also used as a time to clean, exchange gifts, wear new clothes, etc., as a means of celebrating victory of good over evil. We know what you’re thinking: Wow! What a creative title! Jokes aside, we’re absolutely fascinated by the Mid-Autumn Festival, also known quite literally as the Harvest Moon Festival. The occasion, which dates all the way back to the Shang Dynasty (1600-1046 BCE), is dedicated to celebrating the harvest, and is usually held on the 15th day of the 8th month of the lunar calendar with full moon at night. That translates to late September to early October, by our standards. For instance, September 24 is when the festival will occur this year (2018). Generally speaking the festival is about celebrating the harvest, as well as the binding together of family and friends. It is said that because the moon is brightest and roundest on this day, it should be used as a time to reunite with family and pray. More than just giving thanks for the harvest, the Mid-Autumn Festival is also largely considered a celebration of fertility. In Chinese lore, the sun and moon were a couple, and the stars were their children. When the moon was pregnant, it would become full and round (Like it is during peak harvest), and then become a crescent after giving birth. It is for this reason many women—even to this day—make offerings to and worship the moon throughout the festival. 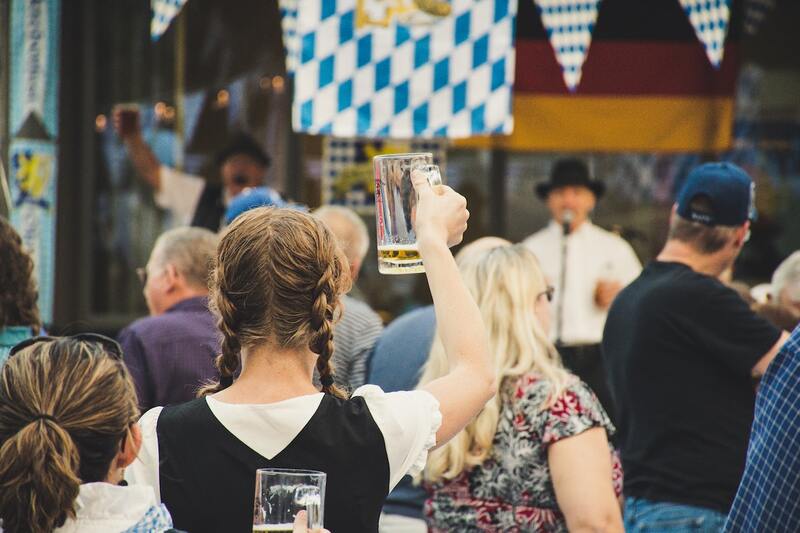 Of course, you’ve also probably heard of Germany’s famous Oktoberfest celebration, which usually occurs from mid- to late-September all the way through the first weekend in October. 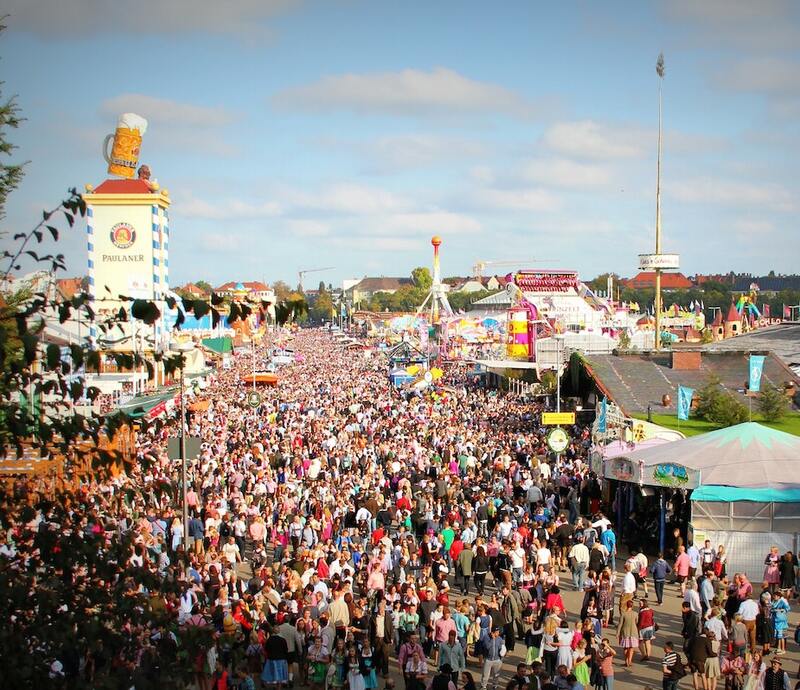 Officially held in Munich, Bavaria, Germany, the massive folk festival is attended by over six million people every single year—and that’s just the people who show up to Germany to celebrate. The festival is alsowidely celebrated in bars, biergartens, and German restaurants all over the world. But, did you know that Oktoberfest actuallybegan as a harvest celebration? In fact, it originally had very little to do with beer at all. Technically the festival began in October of 1810, to commemorate the marriage of Crown Prince Ludwig (Later King Ludwig I) and Princess Therese von Sachsen-Hildburghausen (Yeesh, say thatname 10 times fast). However, this marriage festival was pre-dated by at least 40 years by a Pagan celebration called Kerb, in which the farmers of Norka would celebrate the end of the grueling six-month-long grape harvesting season. While purists still celebrate Kerbfest to this tday, the two holidays just kind of blended together over the years. And thus, Oktoberfest was born. This ancient festival, dating back to the Middle Ages, started as yet another religious Thanksgiving celebration among the French-speaking people of Switzerland’s Canton of Fribourg. It was originally intended to celebrate and honor the patron of the church, as well as the descent of the cattle from the mountains for the winter. Today, however, Bénichon is devoid of most of its religious context, and is instead a really fun, really popular folk festival in the region, filled with tons of delicious food, drink, and celebration, as you’d imagine the Swiss would do. The holiday takes place every year on the second Sunday of October, and usually includes a massive parade through the city (Lead by cows, naturally), followed by a long day and night of celebrating. If there’s one thing we know—and adore—about Italians, it’s that they never turn down an opportuniy to eat and have a good time. That’s exactly why the famous Olivagando Festival, which takes place in the Magione region of Tuscany, Italy, makes our list. 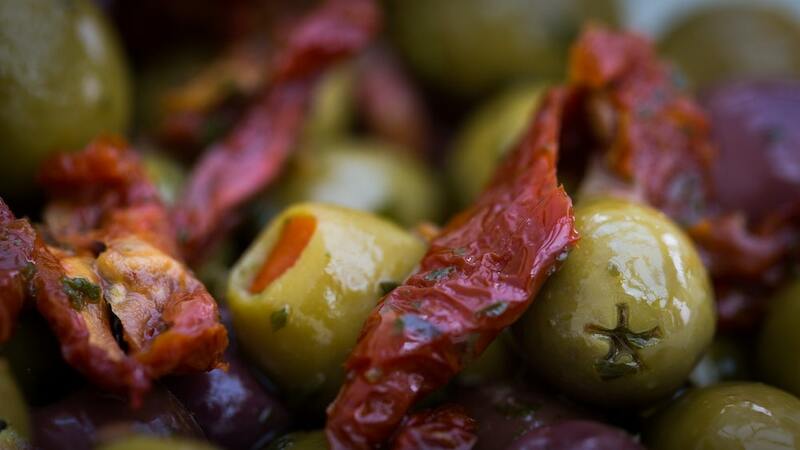 The festival itself is a massive celebration of the olive harvest—extended primarily to the people who grow and harvest these valuable Italian namesakes—but isalsoa celebration of all the smells, tastes, and textures of autumn, ranging in everything from roasted chestnuts and bruschetta, to new wines and cheeses. If you’re lucky enough to make it to Magione throughout the month of November, you’ll also be able to join local producers who put together exhibition events, workshops, food stalls, and markets all along Lake Trasimeno. It truly is an incredible experience. You guys think pumpkin spiced lattes are good? Check out the famous two-month-long pumpkin festival in Ludwigsberg, Germany. Not only do visitors get to witness nearly half a million pumpkins on display every single year, but they’re also treated to some of the most incredible pumpkin-flavored culinary masterpieces in the world—pies, cakes, drinks, and sweets galore. Hell, there’s even a pumpkin boat race! Ever wonder how many species of pumpkin there are out there? No, of course you haven’t, because you’ve only ever been exposed to just one. Well, you’ll find over 500 species of pumpkins out there. Why? We have no idea, but they’re there, and we want to see them all. If you’re obsessed with pumpkins and pumpkin-flavored things as we are, the Ludwigsberg Pumpkin Festival is definitely worthy of your bucket list. The festival typically runs the first week of November, but always make sure you check before you start planning your dream vacation.